The LGBT Health Resource Center of Chase Brexton Health Care has officially added May 16th to the National Day registry as National Honor Our LGBT Elders Day. National Honor Our LGBT Elders Day is a new effort to draw awareness to and appreciation of the lifetime of contributions made by LGBT older adults. The gains made in recent years toward LGBT equality sit squarely on the backs of those whose struggles and victories, extraordinary courage and everyday authenticity, pioneered the path toward freedom. Honor Our LGBT Elders Day works to unite the LGBTQ community and its allies to celebrate and thank those individuals who fought on behalf of us all. Join the celebration with our social media toolkit, or check out our resource guides for ideas on planning your own National Honor Our LGBT Elder Day projects and events. Show your #LGBTElderDay pride this May 16th by adorning your social media profile picture with our National Our LGBT Elders Day digital frame. Dimensions of the frame are 2400x2400 pixels. Just click the button above to download the image, then open your favorite digital snapshot in a photo editing software program (Photoshop, MS Paint, etc.) and add the frame on top! Voila! 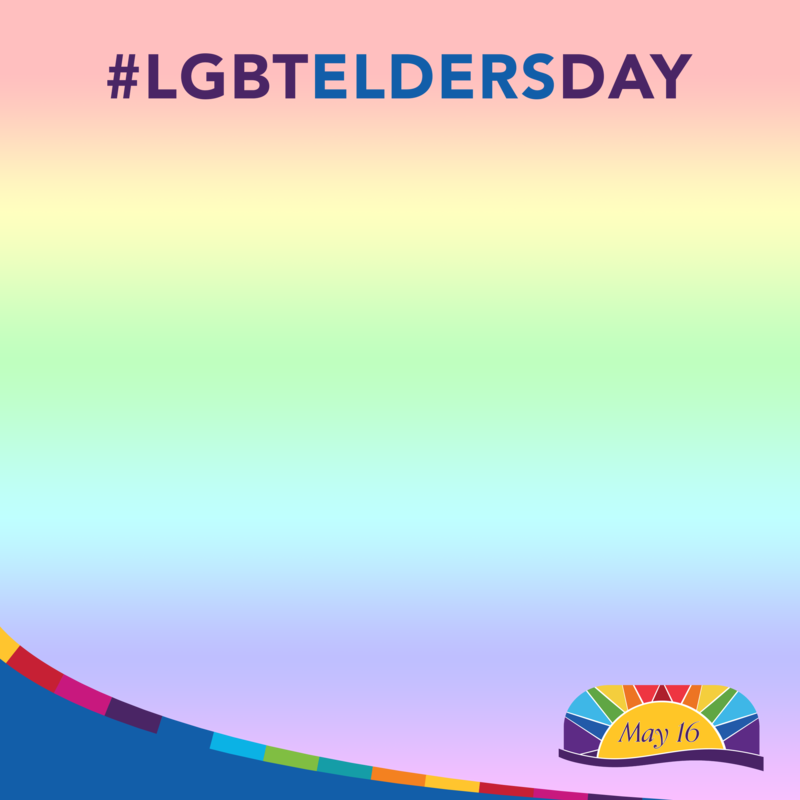 And be sure to use the hashtag #LGBTElderDay on your social channels so we can spot you! 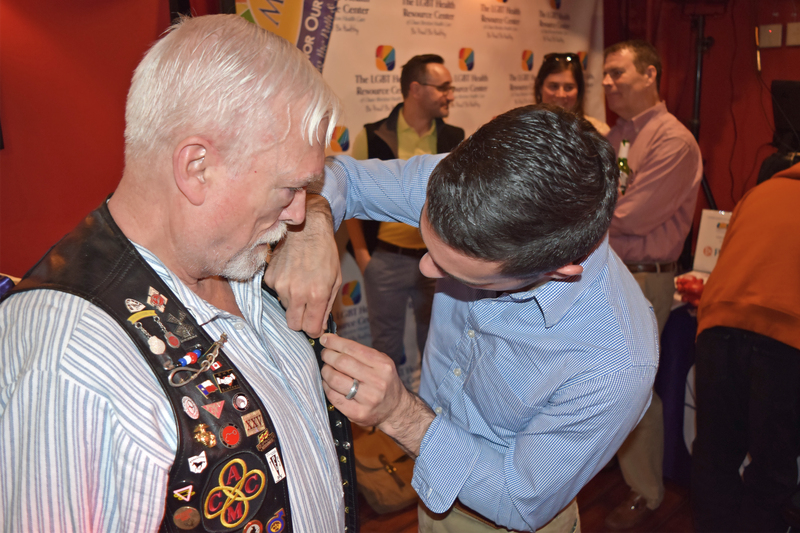 It was a night of laughter, inspiration, and recognition, as more than 50 friends, family and community members met at the Baltimore Eagle on Tuesday, May 16, 2017 to celebrate National Honor Our LGBT Elders Day. Catherine Hyde of PFLAG Howard County, honoring Colette Roberts; Felicia French of the Department of Aging [Retired], honoring Doris Corbett; Nancy West of the Faith Communities with Pride, honoring Charles Blackburn; Carrietta Heirs, honoring Wannetta Trotter; Peter Dayton, Mr. Maryland Leather 2017, (via video message), honoring Mike McDonnell; Merrick Moses, from the Office of the State’s Attorney, honoring Carlton Smith; and Dave Spellman, a selected audience member, honoring Rik Newton-Treadway. Honor Our LGBT Elders Day is a national day to draw awareness to and appreciation of the lifetime of contributions made by LGBT older adults. The gains made each year in LGBT rights and equality sit squarely on the backs of those who fought and lived through large and small victories in order to be their true selves. Honor Our LGBT Elders Day works to unite the LGBTQ community and its allies to celebrate and thank those individuals who fought on behalf of us all. For more information, please visit www.elder.lgbt. National Honor Our LGBT Elders Day 2017 was sponsored by Services & Advocacy for Gay, Lesbian, Bisexual & Transgender Elders (SAGE); The Harry and Jeanette Weinberg Foundation, Inc.; The Leonard & Helen R. Stulman Charitable Foundation; AARP Maryland; PNC Bank; Heartlands Assisted Living at Severna Park; and the Baltimore Eagle.